Calcutta City Sessions Court Recruitment 2016 - Notification for 17 Vacancies in Lower Divison Clerk & Caretaker posts: Calcutta City Sessions Court Recruitment 2016 Filling 17 Vacancies notification has released those who are the job seekers looking for Clerk jobs this is the best opportunity to apply. Calcutta City Sessions Court Inviting applications to fill 17 position in various designation departments for Lower Division Clerk & Caretaker jobs. Those who are the inserted candidates to utilize career track may ability to understand and convey complex information given here. Before to appear check the prospectors and instructions then apply online before the last date 05/09/2016. Eligibility requirements issued by the Authority of City Sessions Court. 10th/Madhymik or equivalent examination and the certificate in computer training. 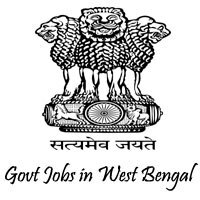 Clerk & Caretaker Government job in Calcutta description eligibility requirements, application fee updates given below. Age relaxation: SC/ST candidates is Five years and OBC Three Years. Those who are the selected candidates may get the every month salary details available here. Lower Divison Clerk can get 5,400 to 25,200 with grade pay upto Rs 2600. Caretaker can get 5,400 to 25,200 with grade pay upto Rs 2600. Appliers who are instead to apply for the government job here 19th of August 2016 to 5th of September 2016 dates are important for application dates, exam dates. Now Two photographs and postal stamp of Rs.5 should self-assessed. Postal Address: To The Cheif Judge, City Sessions Court, Calcutta, Bichar Bhawan, 2&3, Bank shall street, Kolkata – 700001, West Bengal.